Scores of coal-fired power plants have been retired and taken off-line in recent years, and coal plant retirements are likely to continue or accelerate as deadlines for federal pollution regulations loom and states respond to the recently-proposed EPA carbon reduction plan. Clean energy advocates and environmentalists typically cheer the closing of coal plants. But sometimes power plants – whether coal, natural gas or nuclear – are crucial to providing stability on the grid, even if their electricity is not needed to meet demand. Hence regional transmission organizations (RTOs), the entities which oversee the grid and electricity markets for different regions, have the power to order a plant to keep running even if it is not financially viable. In the past two years, MISO, the Midcontinent Independent System Operator, has ordered at least seven coal and gas-fired power plants to keep running, after designating them “System Support Resources” (SSR) and negotiating agreements to compensate the operators for the costs. Energy experts predict a flurry of SSR agreements in MISO in the next two years, driven by market forces and 2016 deadlines under the federal Mercury and Air Toxics Standards (MATS). Both merchant generator plants that sell energy on the open market and plants operated by utilities in regulated states can be subject to SSR agreements, and in both cases the cost to keep the plant running is borne by the local utility or electricity provider, which can pass the costs on to ratepayers in the region. In a sense these agreements can allow merchant plants to operate as if they were a vertically integrated utility – guaranteed they can recoup their costs from ratepayers rather than hoping to make a profit on the competitive market. “It is a creative way to address an issue that MISO did not really anticipate,” said Regina Speed-Bost, a partner with the law firm SchiffHardin. MISO’s SSR agreements last for one year and are renewable after annual reviews. To environmentalists eager to see old coal plants shut down, SSRs can be a frustrating lifeline keeping plants alive even if they are not financially viable. A spike in SSRs are also a reminder that across the Midwest the grid needs transmission additions and upgrades to provide stable service and allow the transition to a cleaner energy landscape. And the need for SSRs shows that as the energy landscape is quickly changing, market forces are not adequate to support generation and transmission needs. Pruitt noted that SSRs are meant to be a short-term solution to keep plants running until new transmission lines or new power sources are constructed to provide the grid stability that the closing plant would compromise. SSR agreements can cover the costs of expensive retrofits and pollution controls needed to meet environmental regulations, though Pruitt thinks SSR agreements will primarily be used to keep plants running for shorter time periods. When a plant owner wants to close a plant, they must give MISO at least 26 weeks notice by filing a document called Attachment Y. Then MISO will evaluate the situation and, if the plant is deemed crucial to the system, they will negotiate an SSR agreement that must also be approved by the Federal Energy Regulatory Commission (FERC). FERC has approved all the agreements requested by MISO so far. Plant owners are required to comply with the agreements and keep plants running until MISO deems them no longer necessary. The agreement negotiation process includes taking stakeholder comments and considering alternatives to keeping the plant running. Alternatives typically include new transmission or generation that would make the plant unnecessary. MISO can’t actually mandate or fund such projects, but if plans are already in the works MISO might revoke or change the terms of the SSR agreement. “Environmental groups challenge whether MISO has seriously considered demand response, distributed generation or renewables as alternatives to continuing to operate the plants, particularly with coal plants,” said Speed-Bost. A new combined-cycle natural gas plant – with much lower emissions and often a better financial outlook than a coal plant – can negate the need for an SSR agreement. New wind generation in the area could also potentially fill the gap, though the sporadic nature of wind energy means it is less able to provide grid stability. PJM Interconnection, the RTO covering parts of 13 states stretching from the Midwest to the East Coast (plus Washington D.C.), also has a similar process known as “Reliability Must Run” (RMR), currently covering FirstEnergy’s coal plants in Cleveland, Eastlake and Ashtabula, Ohio. 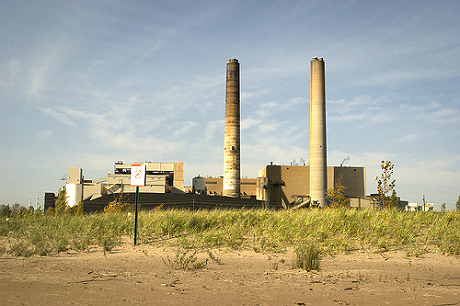 For years, advocates calling for the closing of the Fisk and Crawford generating stations in Chicago were told that the plants could not be closed without endangering grid stability. But construction of new transmission infrastructure meant that when the plants closed in 2012, there was no risk to the grid. If the same market forces which pushed the plants to close had kicked in before the transmission upgrades were done, the plants could likely have been subject to an RMR agreement. SSR and RMR agreements are one way to keep plants running that are not economical but may be needed for the grid or future power demand. Pruitt noted that RTOs also tried to address this need through capacity markets, where generators are essentially paid to be on call and able to provide electricity if needed. Both PJM and MISO have capacity markets. Editor’s note: Coleman Station in Kentucky is not currently under an SSR, as incorrectly stated in an earlier version of this story.